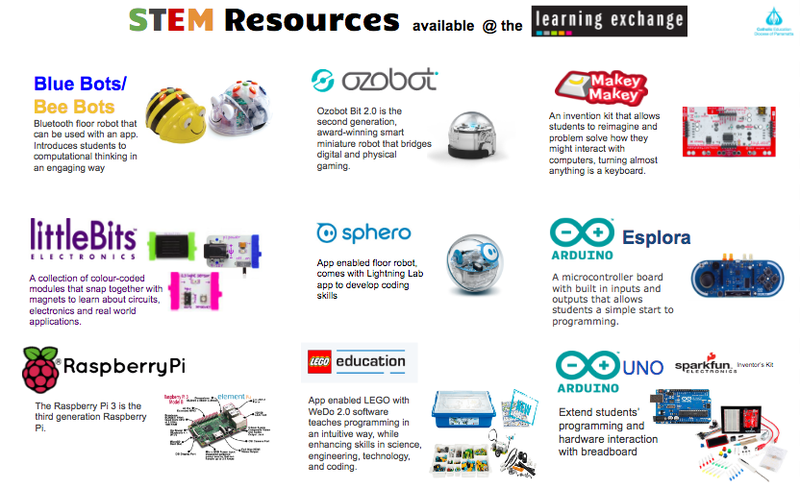 Are your thinking of getting started with STEM at your school? If so, rather than jumping in and buying a whole lot of equipment, start a planning process to have a coherent strategy that you can take to your leadership and teachers to get them on board. 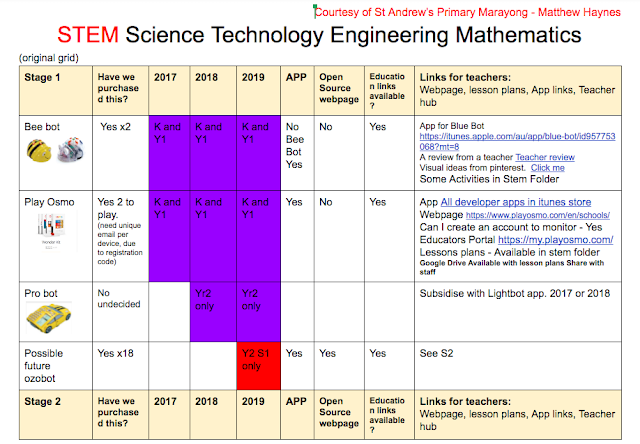 St Andrews Primary Marayong under the guidance of their technology coordinator Matt Haynes have developed a planning document that provides a continuum of STEM resources and how they might be integrated across each stage and across a 3 year period. 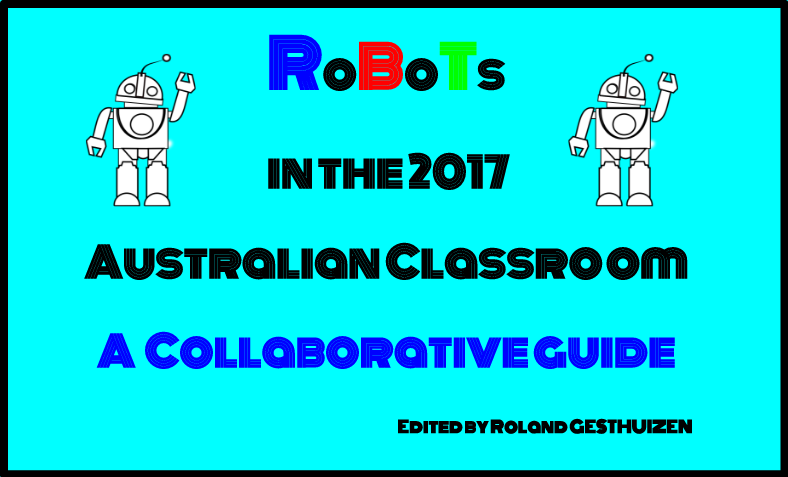 Links are also provided to support documents and lesson ideas for teachers. Working with a small team of initially interested staff they then sought some advice about their strategy and elicited ideas around best ways to support teachers for the process and discussed initial ideas about curriculum integration. Based on their strategy a number of STEM resources were purchased. The next step St Andrews did was to present to staff. "After running through a Keynote and discussing the importance of STEM (also giving them a chance to list concerns), the staff had a huge unboxing and just over an hour of play. The staff were really responsive and keen for some change. " "The play really helped to settle any concerns and as a result all the staff are onboard for next year, with a lot of staff/grades already planning, and learning all about STEM during their RFF and in their own time. 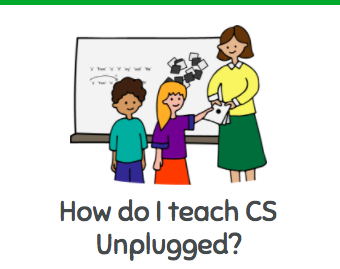 Some are teaching themselves coding (Scratch, Code.org), and developing units based around the 4 C's. There was a tonne of small talk about STEM and what they had found out on their own. 5 of the 7 grades chipped in and after discussion, a class set (15) of Blue-Bots and 3 good quality 3D printers are on order. Teachers are also finding resources for their classes/grades and borrowing some of the grade resources purchased by us so they can teach themselves over the holidays. There is a really good buzz in the air". Their next step is to plan some professional learning around use, connection and integration with curriculum. St Andrews recognise that "PD will play a huge role in the successful implementation next year to ensure the move from transmission to transformational learning."